To start the tour, in the morning, we come and pick you up at the hotel and then we start marble mountain monkey mountain tour. We then follow coastal road connecting Hoi An and Da Nang and our first visit is marble mountain. The area with 5 marble mounts which represent five elements in Oriental philosophy. They are Water, Wood, Fire, Metal and Earth. 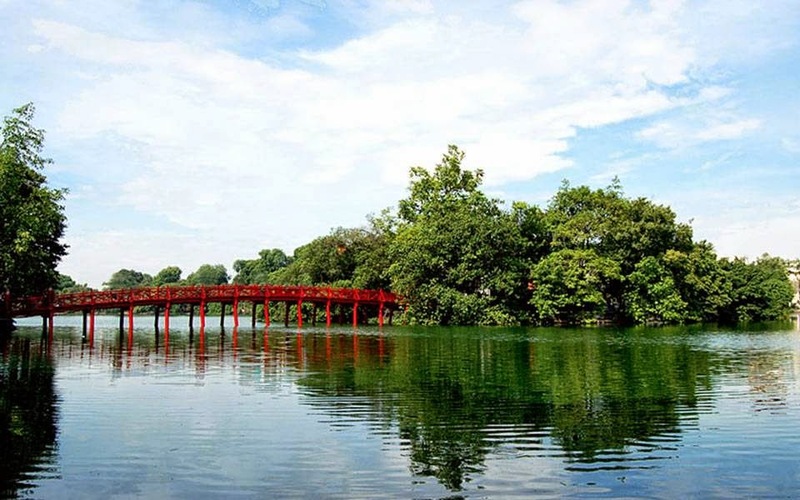 So, we will walk up Water mount with stairs and visit Linh Ung pagoda which features typical Vietnamese and Chinese architectures. Nearby is a Buddha statue and seven – storey Xa Loi pagoda. 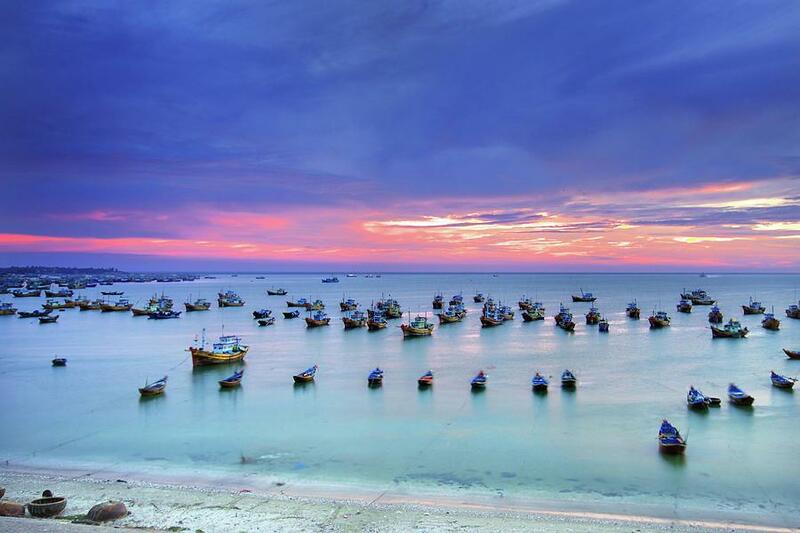 From here, you can have a panoramic view of Non Nuoc beach and marble village. Next, we keep strolling with a visit to Van Thong cave where we climb up and crawl through small hole and reach to the top of the so – called heaven gate. 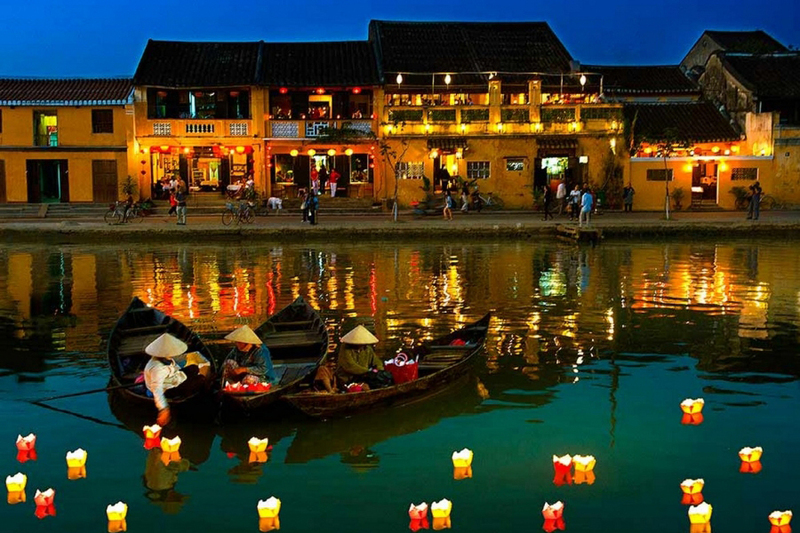 From here, you can overlook Hoi An and Cham island in a distance. We then walk down and keep going to visit the nicest cave of Huyen Khong that was used as hospital, hiding and revolutionary base for local people in the war. This cave is just stunning with all temples dating back to centuries and all smoke, incense mixing up with sunlight creating such an amazing scene. 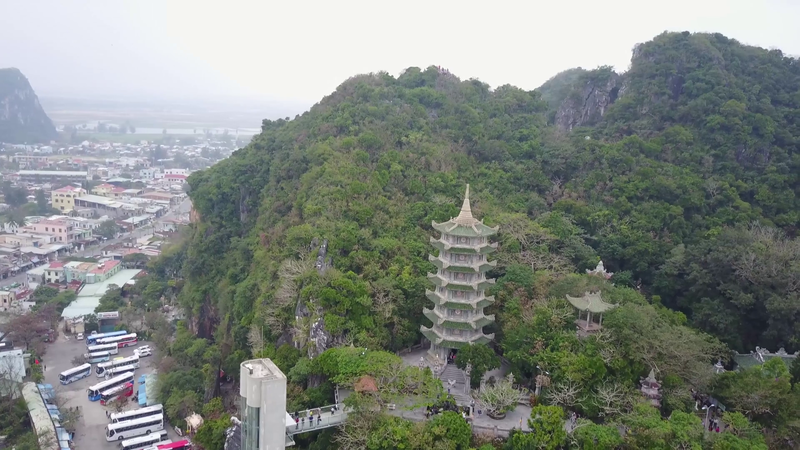 We then end marble mountain tour with just a few steps walk up to grab view point of marble village and also visit the river – watching pavillion for the Emperor in the old days. We then come back down and the guide and driver will take you to Son Tra peninsula. 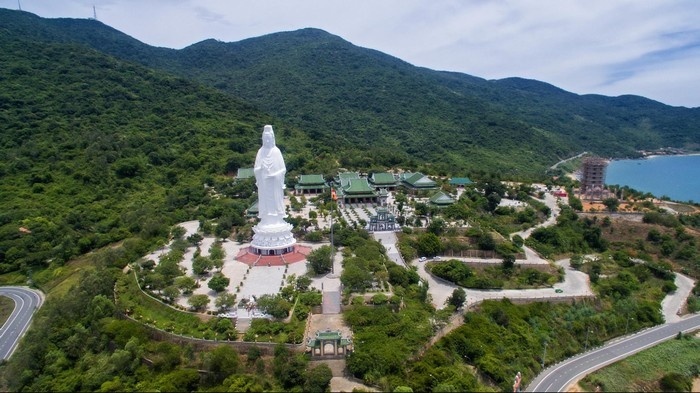 On arrival, we are heading to admire the biggest and highest Kwan Yin statue (Mercy Goddess) in Vietnam (67m high). When we look at her, it seems she looks back at you to bless you all the best wishes and even she will bless fishermen coming out in the sea for fishing. 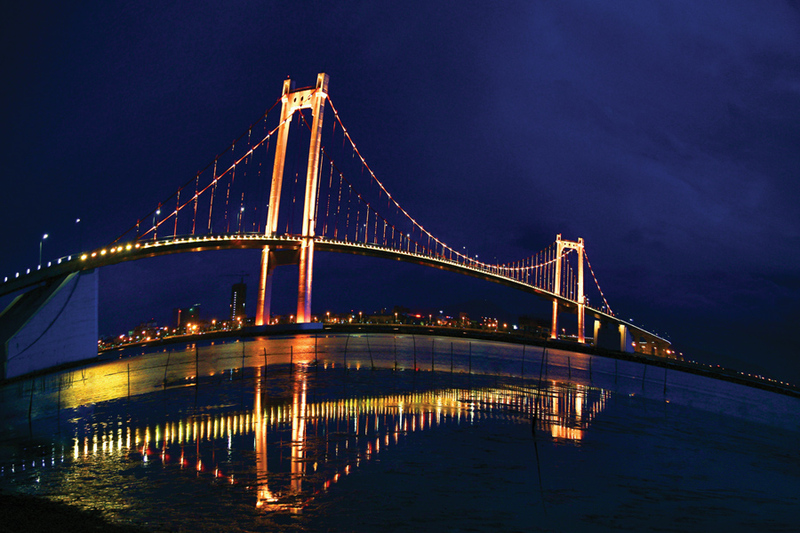 Also at this lovely spot, Da Nang city comes out brilliant and you take your chance to view the whole region. 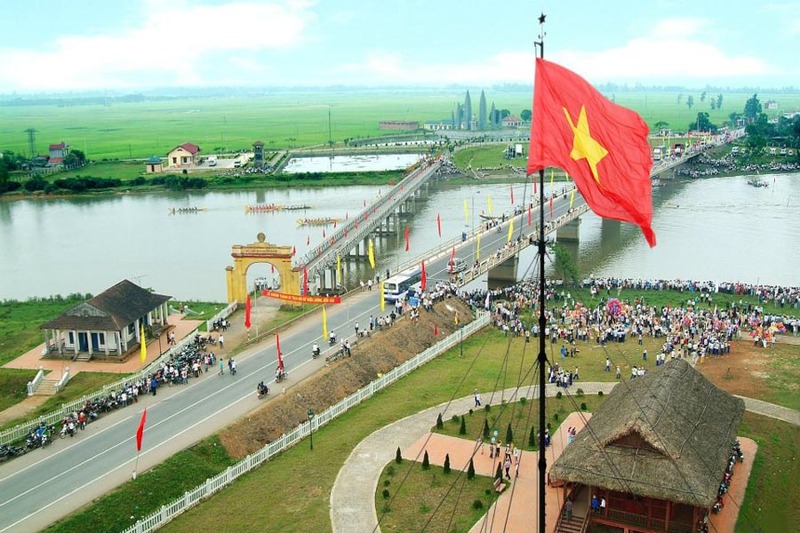 Coming back to Linh Ung pagoda and you can go inside and pray to Happy Buddha for good luck. Finally, we go back to the car then the car and driver will take you to a local restaurant for luch. After our lunch, we then take you back to the hotel and marble mountain monkey mountain tour will finish here. What do you expect in marble mountain monkey mountain tour? 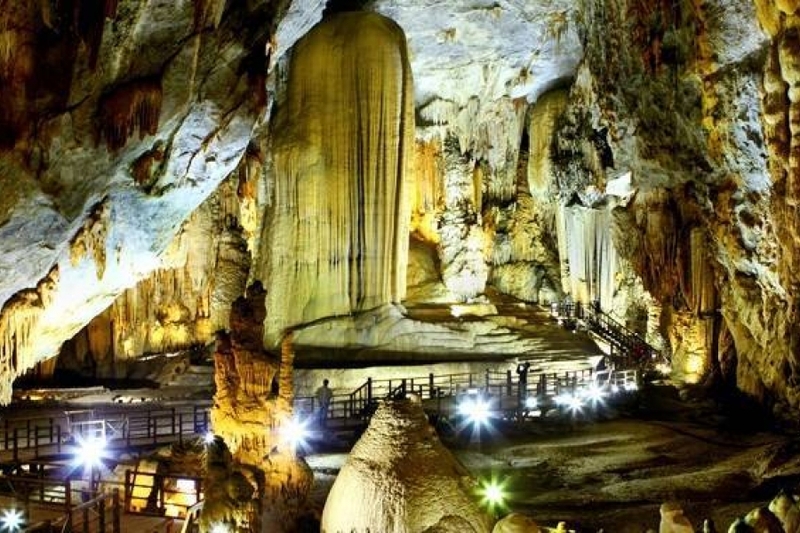 Participating in this tour, you will explore beautiful Da Nang city by visiting its two popular tourist attractions: marble mountain and son tra peninsula. 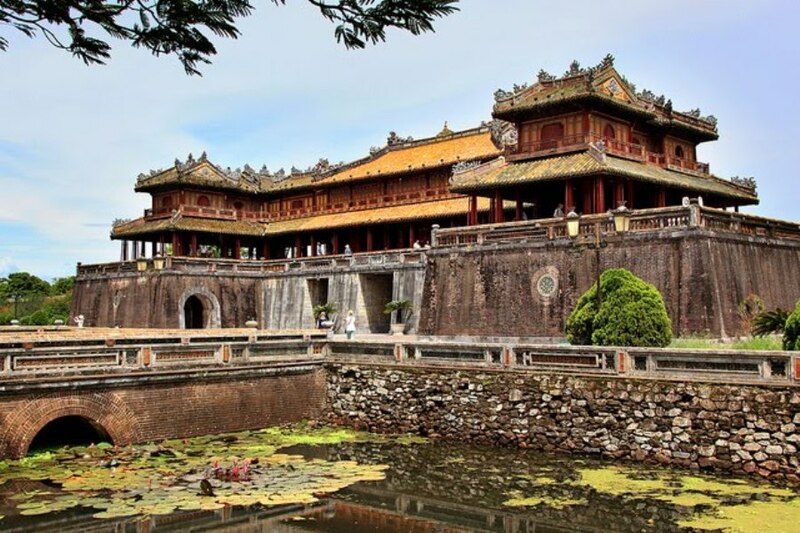 Through interesting stories of the guide, you will know more about Buddist culture and custom of Vietnamese people here. Especially, you will challenge yourself to overcome little obstacles when crawling and climbing at marble mountain. 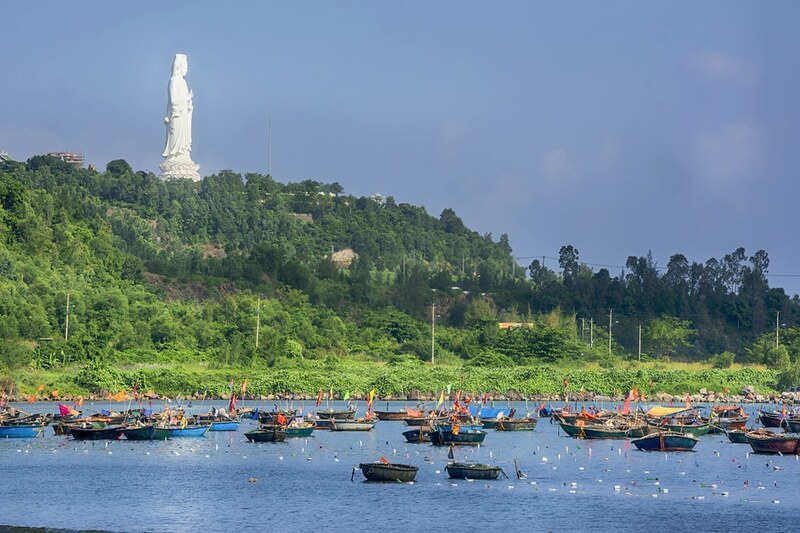 And a visit to huge Lady Buddha statue, grabing full view of Da Nang city at Son Tra peninsula will make the tour so different. We suggest you to wear suitable clothing when entering holy places at Buddist temples in marble mountain and son tra peninsula. We might not see monkey because the site is a part of so called Son Tra peninsula. Marble mountain has lots of steep and slippery steps, please be well – prepared for the challenge.